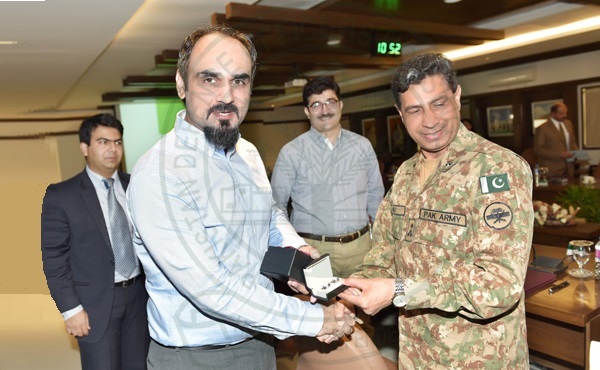 Karachi: Zameen.com Country Head Sales Ahmed Bhatti met Defence Housing Authority (DHA) Administrator Brig Shahid Hassan Ali on Monday, according to DHA Karachi’s official website. Bhatti was accompanied by Zameen.com Business Development Head Sheikh Shujaullah Khan and Regional Head, South Taha Mehmood. The meeting was held in the administrator’s office in DHA Phase I, Karachi, where they discussed matters of mutual interest regarding DHA projects in Karachi. The administrator was also briefed on the progressive initiatives and related plans Zameen.com had in mind for the largest and most prestigious real estate developer of Pakistan.